Russell with his lovey wife, Katharine. 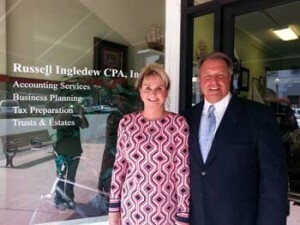 With over 30 years of experience as a certified public accountant, Russell Ingledew provides his many clients in La Jolla and elsewhere across the San Diego region with exceptional service. Russell is married to the love of his life Katharine (Merdinger) Ingledew for over 40 years and married on July, 9, 1977 at old Mission San Diego de Alcala. Together, they raised three beautiful and successful children, Amy, Dana and Matthew. Matthew is following in his dad’s footsteps and is aiming to take over the family practice. Mr. Ingledew received his undergraduate degree in Accounting from the University of Hawaii where he majored in Business Administration with an emphasis on Accounting. He then began his career as a staff accountant for a San Diego CPA firm, and became a licensed Certified Public Accountant in the state of California in 1986. 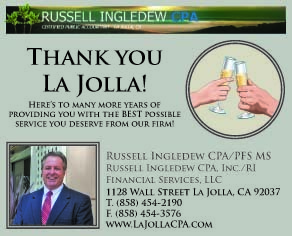 A year later, Russell Ingledew & Associates was established in La Jolla. The firm’s name was later changed to Russell Ingledew, CPA, Inc. Many San Diego-area residents have utilized the services of Mr. Ingledew’s firm since its inception. He is proud to have helped foster their financial well-being over the years. 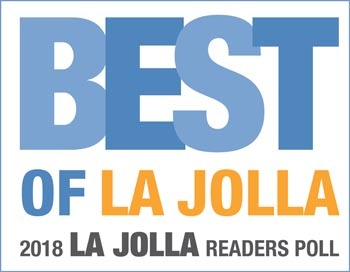 In order to provide a more diverse range of services as a Certified Public Accountant for his clients in La Jolla and other areas of San Diego, Mr. Ingledew continued his studies, receiving his Master of Science degree in Accounting from San Diego State University in 2007. This experience has provided Mr. Ingledew with an in-depth knowledge of the latest issues and practices in the field of Accountancy. It is Mr. Ingledew’s belief that choosing a CPA is a very personal decision, similar to choosing a doctor or a dentist. This is reflected in the personal relationship he develops with each of his clients. In addition to performing tax preparation, tax planning, and other accounting duties, Mr. Ingledew has also served as a controller and CFO for public and privately held companies. Mr. Ingledew’s business accounting services include audits, reviews, compilations, bookkeeping, payroll, budgets, and projections. These services are provided not only for businesses, but also for trusts and nonprofit entities. As a third generation resident of La Jolla, Mr. and Mrs Ingledew are proud to be active members of the community. Russell operates Russell Ingledew, CPA, Inc., from La Jolla, California, and serves the entire San Diego region.